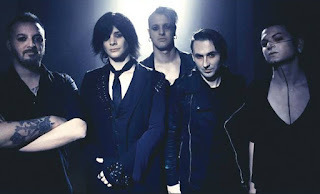 VLAD IN TEARS Release Acoustic Version for "How Do You Know"! Berlin based alternative dark rock act VLAD IN TEARS have released a new acoustic video for the song "How Do You Know", taken from "Souls on Sale" album, released on December 15th, 2017 via Eternal Sound Records. Watch it here: https://www.facebook.com/vladintearsofficial/videos/1513177915454440.